Mireille Guiliano, author of FRENCH WOMEN DON’T GET FAT, will present and sign her new book FRENCH WOMEN DON’T GET FACELIFTS. Any foreigner coming to France will notice the inordinately high number of smokers here; all ages, both genders. The number of times I’ve been stuck behind puffing pedestrians on a narrow sidewalk is once too many. Unable to walk around them (because the sidewalks are too damn narrow), I’ve had to actually step out into the street to bypass them and shun their smoke. Happens all the time. How can Ms. Guiliano seriously write a book entitled FRENCH WOMEN DON’T GET FACELIFTS? Every season there’s yet another program on TV about French men and women flocking to Morocco and Tunisia for sun, sea and surgery. The price for cosmetic surgery there is one-third of what it costs in Europe and business is booming. 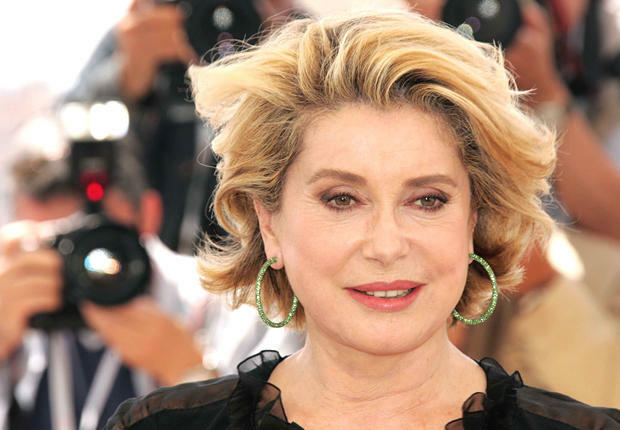 Ms. Guiliano writes that Catherine Deneuve “no longer wears stilettos or sharp red lipstick, and her clothes have changed too, and so has her hair.” Yes, and so has her face! And what happened to the once-lovely Emmanuelle Beart? French actress Emmanuelle Béart flaunted her surgically enhanced glossy pout for over a decade, until things changed and turned into a nightmare. The 47-year-old actress now confesses that she got her lips surgically enhanced, but regrets it. She wants to warn everybody, who is considering going under the knife for cosmetic surgery, of dangers involved in such procedures. She has become a very wealthy woman by peddling a whole series of these dubious, aspirational books, which promote the myth of the ultra-chic, ultra-slim French woman, and the general superiority of all-things-Gallic. The members’ forum of her French Women Don’t Get Fat website is very revealing. It’s peopled by a brigade of (largely) North American women who imagine that all their emotional problems will be solved if only they can save up for the longed-for trip to Paris!! It’s all rather pathetic, and shame on Ms Guiliano for exploiting this. Y’know what? I’m not even interested in looking at her French Women Don’t Get Fat website. Now, where’s the rest of that Croquant Caramel chocolate bar? 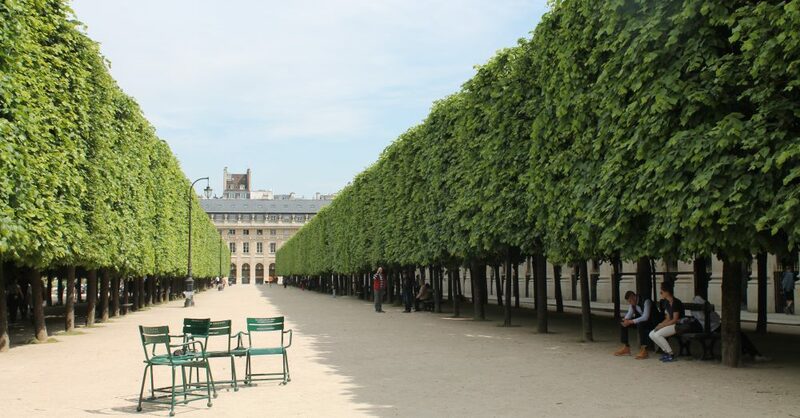 And the paradox is that, despite their reputation for being oftentimes rude or standoffish, the French are actually quite festive and sentimental. Nowhere has this been more apparent than during these past three days. It’s almost as if they’ve been waiting all year for January 1st to roll around so they can uncharacteristically smile and cry out “Bonne Année!” to one and all. I’ve just spent these last three days exchanging New Year’s greetings with every living person that has crossed my path. If dogs could speak, I’m sure we would’ve bid one another a happy and healthy New Year. It’s nice. Very nice. But I’m exhausted. I’m not used to all this Parisian jollity. It started with neighbours in my building followed by the postman and then the concièrge and then the café owner and his wife on the corner and then the streetsweepers as they stood on the corner knocking back espressos from the café and having a smoke. Even the local homeless person had something salutary to say. And that was just on my way to work. Once at the office, things really heated up. “Meilleurs voeux!” exclaimed my new boss, leaping up from her chair when I walked in on Thursday morning. I stood in the doorway of her office. Was she going to shake my hand? Kiss me? There’s always that awkward moment when you don’t know whether to stick out your hand or proffer your cheek. The best action to take is to just stand there and let them take charge. Thank goodness Parisians only kiss twice, as opposed to three or four like they do in other regions of France. I guess it’s because we’re more rushed here. And so it went on for the next two days: email greetings from the CEO and other self-important people, colleagues stopping by to declare, somewhat solemnly “Bonjour Juliet. Je te présente tous mes meilleurs vœux de bonheur et de santé pour l’année.“ I was touched. Truly! Chocolates were passed around and much kissing and laughing went on in corridors. It’s funny, this kissing thing. (As I said, in Paris it’s twice, once on each cheek.) Being Anglo-Saxon, as we’re called here, I’ve never been a fan; I prefer a swift, no-nonsense handshake. I’ve just had a thought….maybe it’s me who’s standoffish?? Anyway, the next festivity will be the Galette des Rois or the Cake of Kings, the delicious flaky pie filled with almond paste baked for Epiphany on 6 January. (Epiphany: the 12th day after Christmas, celebrates the visit of the three kings or wise men to the Christ Child.) I actually wrote about the tradition one year ago when I started this blog. Here it is below. Oh, did I mention? BONNE ANNEE! HAPPY NEW YEAR!